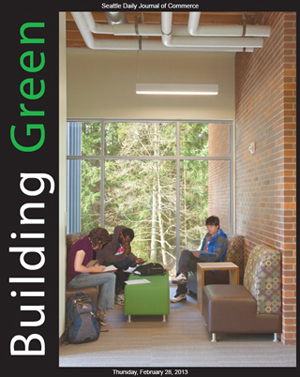 Saint Martin's University’s recently completed Cebula Hall was designed to earn a LEED platinum rating. The architect was McGranahan Architects and the general contractor was Berschauer Phillips Construction. Contractors must play a broader planning role as green projects grow more complex. The Makah reservation’s old dump poses a serious environmental threat, but its closure hinged on replacing it with something better. 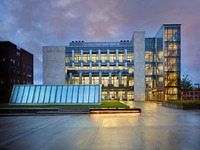 Saint Martin’s Cebula Hall was designed to demonstrate the green principles that students will study there. Is LEED’s future with federal projects under threat? U.S. agencies are facing pressure from the timber and plastics industries to drop LEED requirements. Even in sun-starved Western Washington, photovoltaics can pay for themselves in seven years. 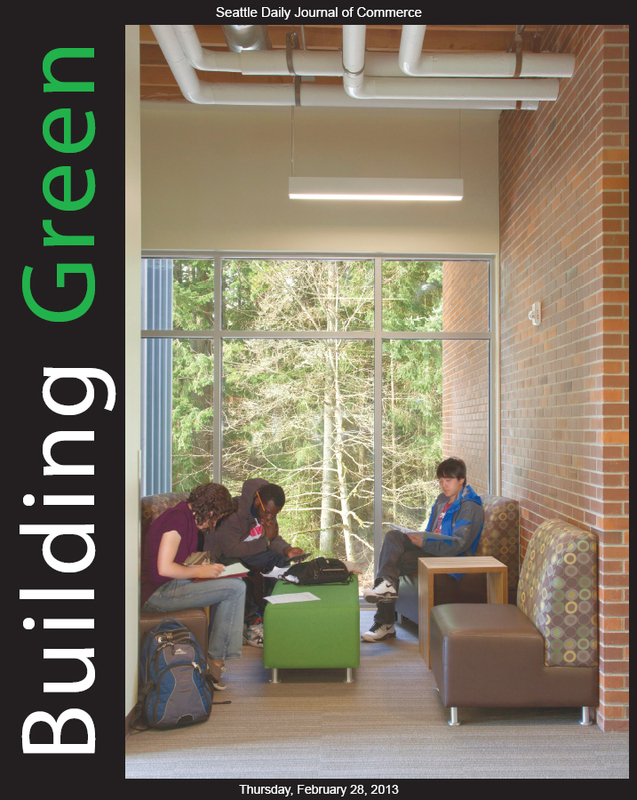 Your project may be LEED certified, but how do you know if its performance is up to snuff? Oil-filled pockets installed in walls and ceilings can store heat during the day and release it at night to help buildings save energy. McGilvra Place will be the first park to attempt the Living Building Challenge. More contractors are asking what goes into the building materials they use. A new database could make answers easier to find. Critical consumers should ask questions and judge for themselves whether a building meets their standards.